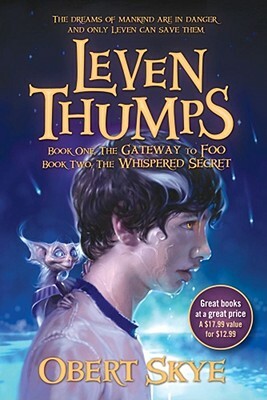 In The Gateway to Foo, fourteen-year-old Leven Thumps learns about a secret gateway that bridges two worlds -- the real world and Foo, a place created at the beginning of time that makes it possible for humans to dream and hope, aspire and imagine. But Foo is in chaos, and three transplants from that dreamworld have been sent to retrieve Leven, who alone has the power to save Foo. The adventure continues in The Whispered Secret. Foo is in chaos, and Leven must overcome several adversaries and survive the Swollen Forest to save his friends and keep hope alive. As fate would have it, bad goes to worse when Leven digs up a buried secret -- one that stalks him, determined to whisper a truth that could be deadly in the wrong hands. Will Leven master control of his power, or will Foo crumble under a dark new enemy?